A bunch of us have been bitten by the Bolt Action bug, so a collective speed painting has ensured. 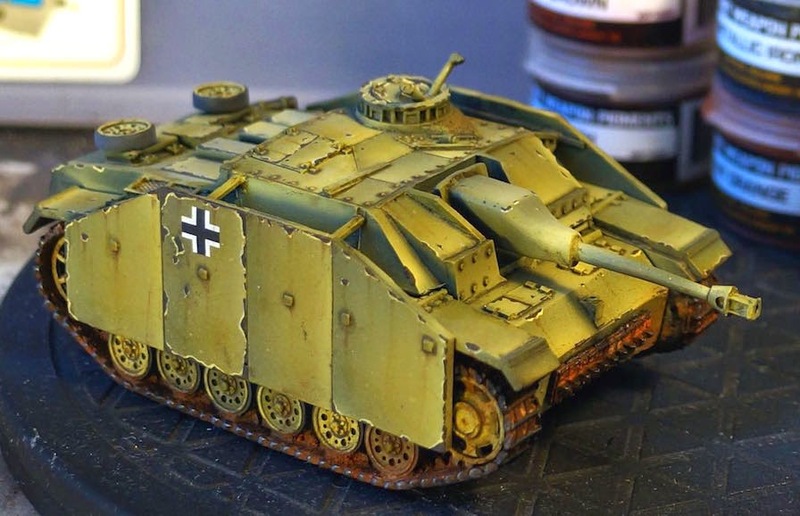 Presented here is a resin Stug from Warlord Games. 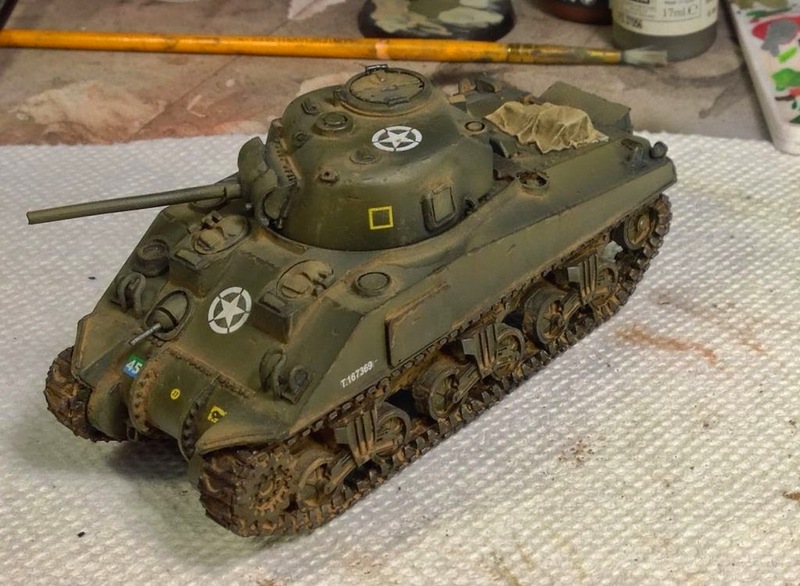 This model will eventually take part in the Normandy campaign, being setup. While fun to paint, this kit was unreasonably malformed. I enjoyed painting the model immensely, but this is going to be a gaming model, not a display model for me. The DAK models on order might end up being the gaming and display models. 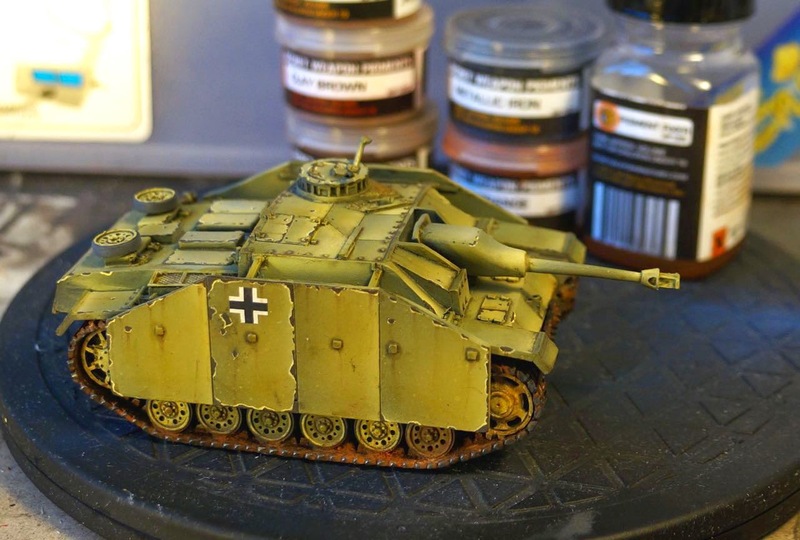 WW2 models (basically anything non-gw) have become my modeling tests of choice. At the NOVA Open I managed to win a full set of secret weapon miniatures weathering powders. 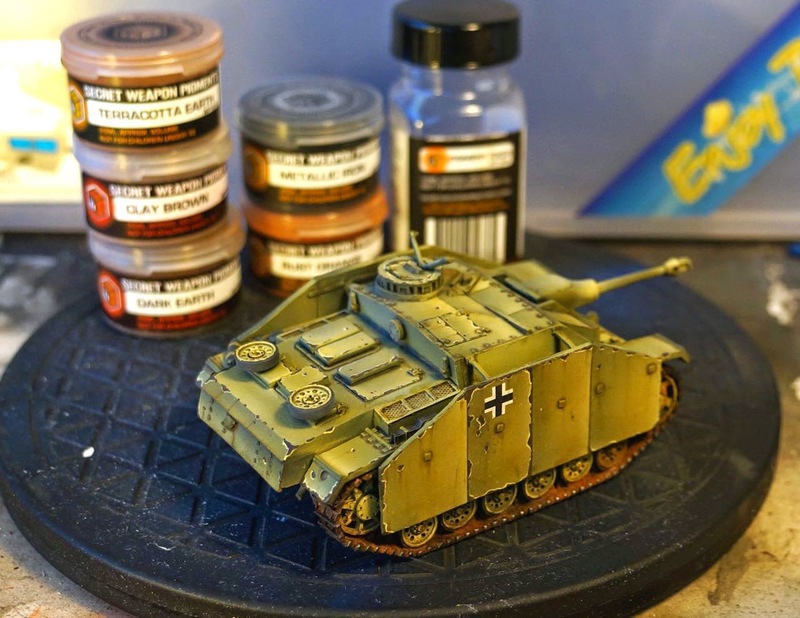 I had already been using quite a few of them, but since I had the whole set I decided to give the track tutorial Justin posted on the SWM miniatures a try. 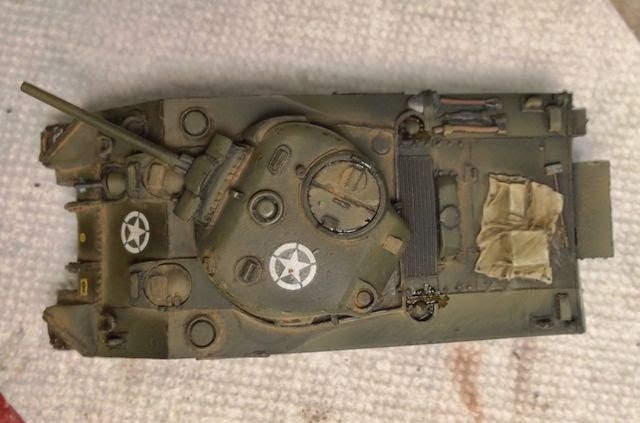 The only thing I added was some more rust pigment on the spare tracks on the hull. 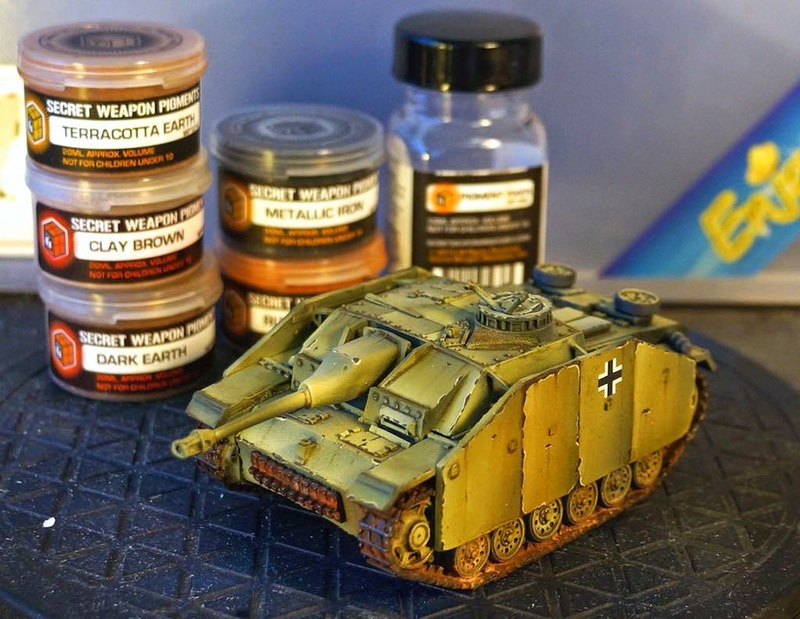 You'd think that having every weathering powder would be the most exciting thing, but weirdly, I was more excited to try the bottle of pigment fixer included. I 'd been using x-20A thinner as my pigment fixer, and had been wondering if actual pigment fixer would work any better. Well, it works, but due to me not understanding the bottle cap (you just have to see it--it is not a dropper!) I managed to poor out the entire contents of the bottle onto the vehicle, and my desk. I like how it worked, and will have to pick up another bottle. 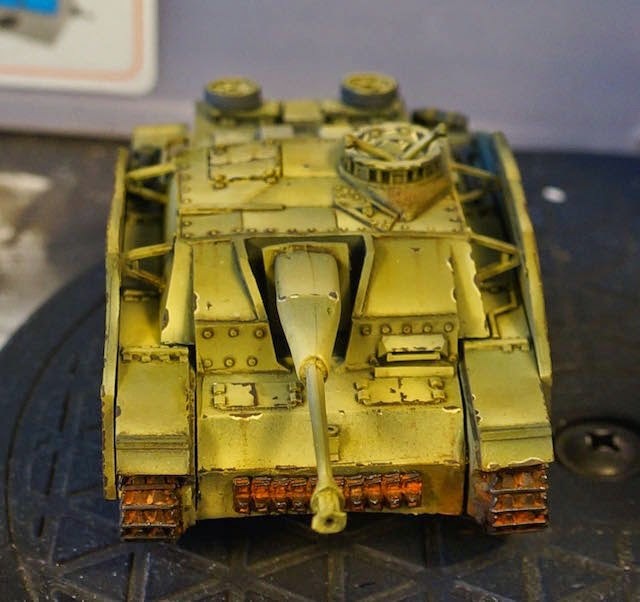 So how does all of this Historical work play into 40k? 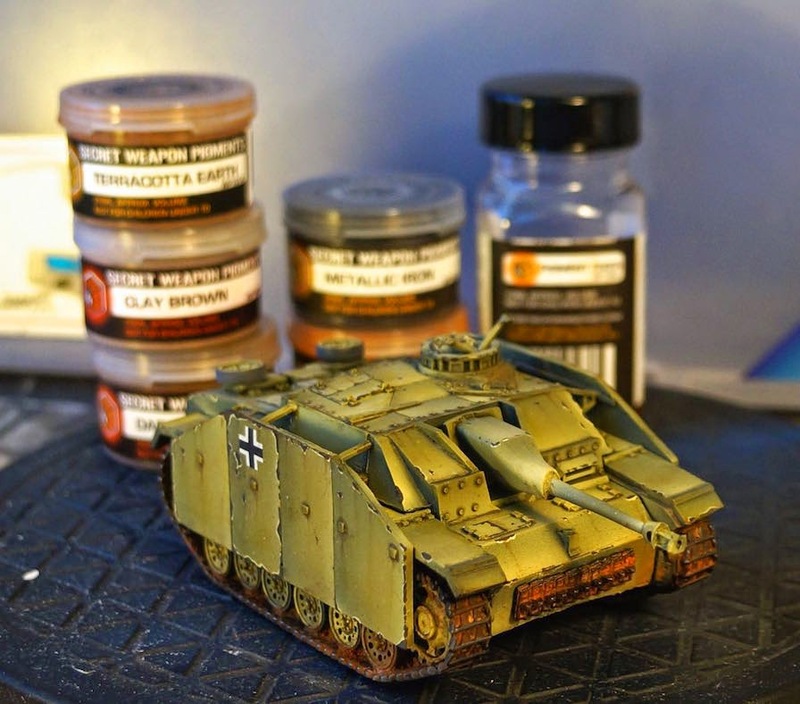 I am thinking about painting my DKoK next, but with a historical bent. 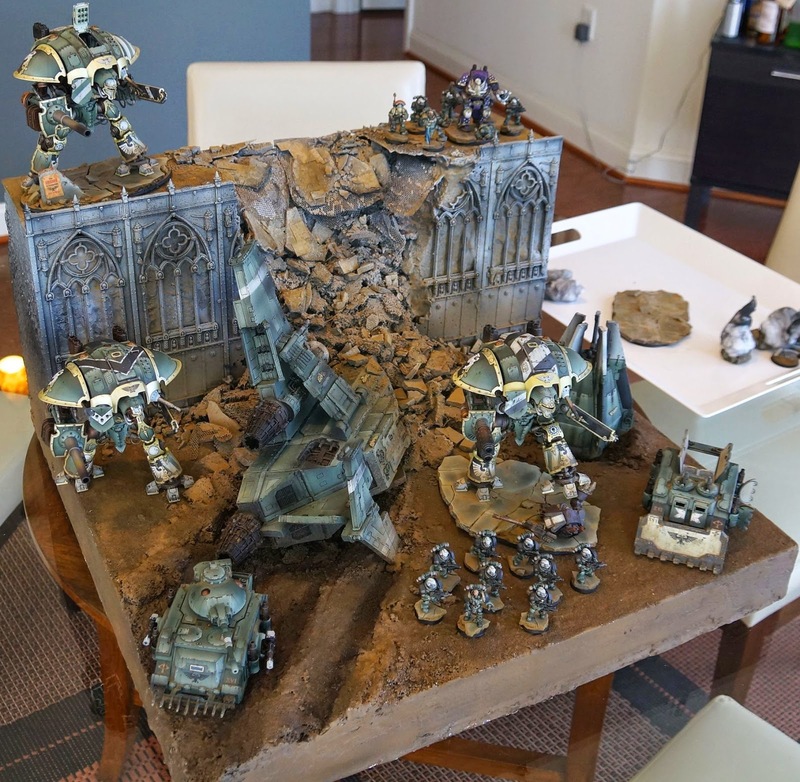 This Columbus day weekend, I had the opportunity to travel up to New York to attend the the Battle for Salvation 40k GT and play in their first painting invitational tournament. This is the first time I have heard of such a thing, but the idea is great. Play in a GT, but make the painting score count for more. I love this spin on tournaments. I think if you play 40k, and live within a 5 hour radius of BFS you should attend. The tournament is that good. The guys that run it are top notch, and each year they put me down as a club member even though I live 4 1/2 hours away. BFS got me thinking about army sizes, game lengths, and tournaments in general. One of the things that I regret at a tournament is that I don't have enough time to mingle. There are so many people I want to meet, and so many friends from all over, that we end up never seeing each other at the tournament but instead end up staying out all night trying to catch up. Wouldn't it be great if game time at tournaments was reduced? Eight games at NOVA was too much for me, even though it was an incredibly fun narrative event. Six games at BFS better. I think 5 games with a lower points value would be best. Let's got back to 1500 or 1200 points. The competition this year for painting was really tight. 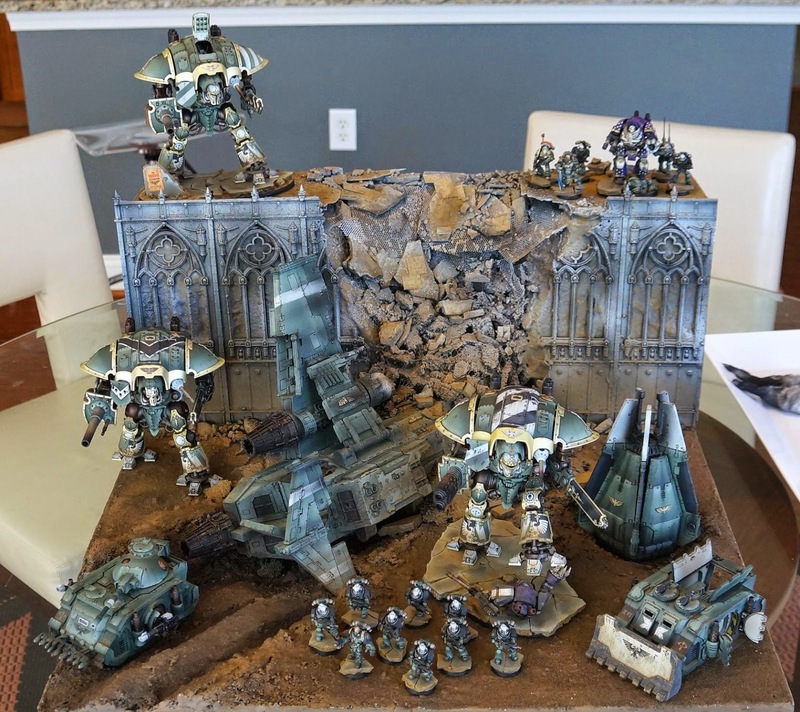 Chris Dubuque showed up with his Lamenters and took away best painted miniature for his dreadnought. 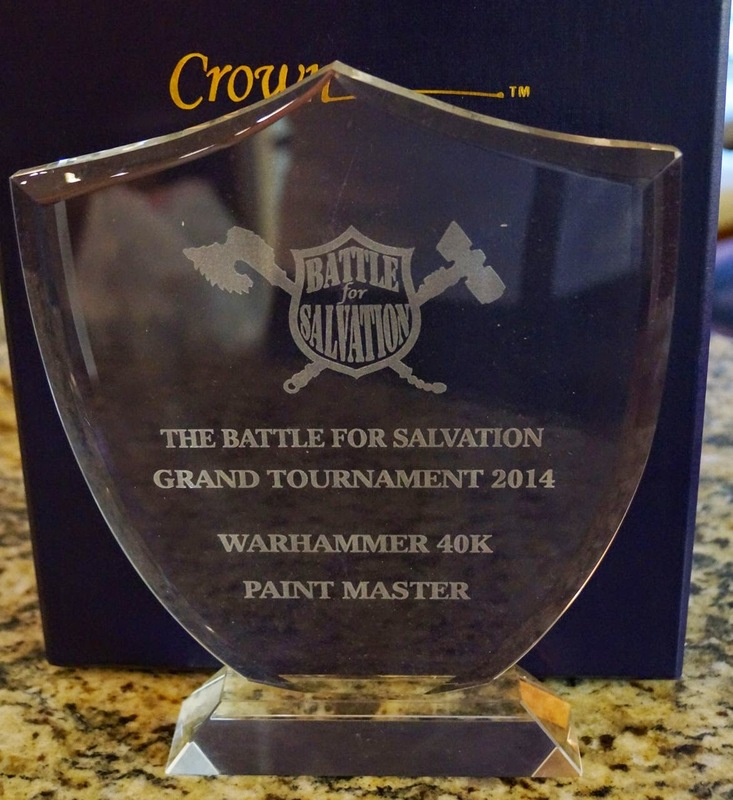 I was lucky enough to win Paint Master for the painting invitational. I am really proud of my Sons of Horus, that allows me to post photos of my latest creations. (hint--not so proud about them!) 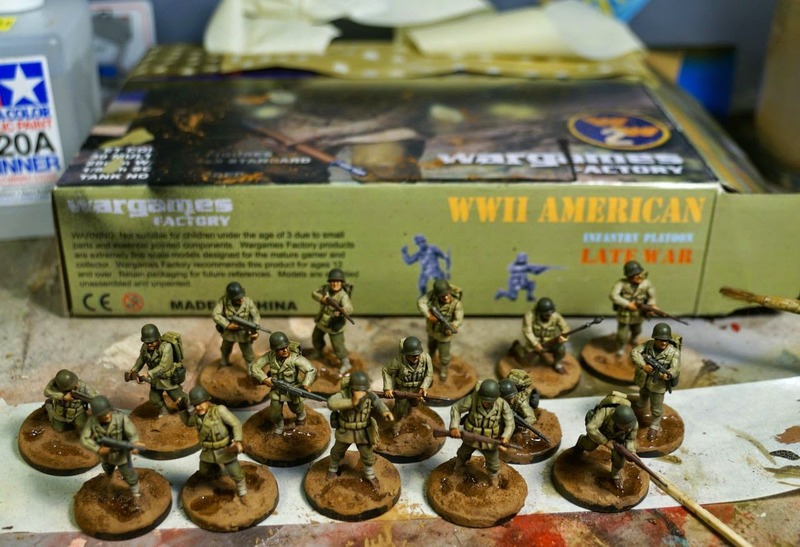 After the BFS paining award, I thought, "hey, maybe I'm a good painter after all" and tried to paint 16 WW2 US Army troops for Bolt Action in under 5 hours. This is why I don't paint IG. 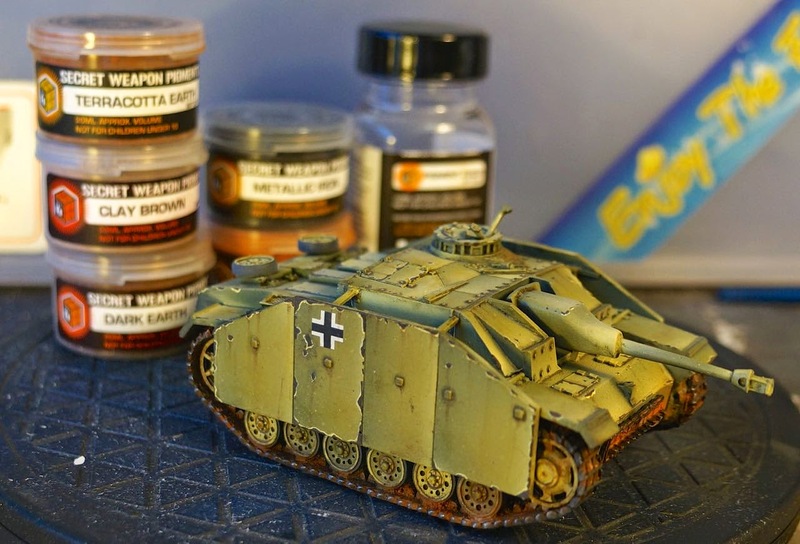 While the painting was fun, and the speed at which it happened was phenomenal, the minis are more like gestural pieces rather than art, but they are for a game I really want to try, and at least now I have some troops and a tank. 20 bucks for around 34 minis was not too shabby either. Ok, maybe I'll paint that other batch. The moral here is simple. Don't get cocky. I did, and my desk is now covered in mud. So there you go. A week in review. Go to BFS. You'll be happy you did. In a few days I will be headed up to the Battle for Salvation in West Nyack New York. I haven't finished painting my army yet, but I think I've managed to create two nice looking smoke markers. I took a suggestion and balled up the cotton a bit. 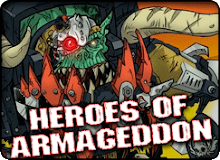 Now if only 40k had random unit activation. 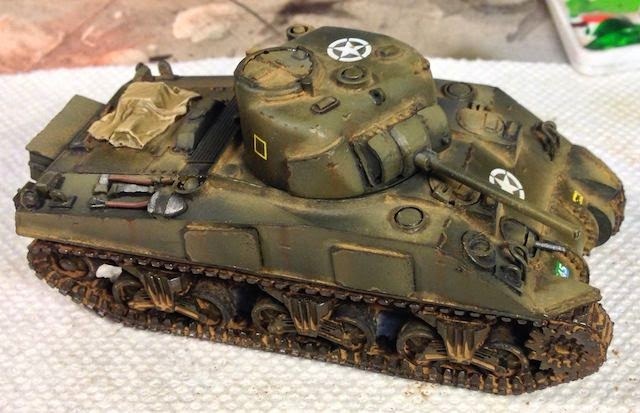 Rather than paint up the missing bits to my BFS force, I decided to experiment with tamiya paint and a Bolt Action sherman tank. 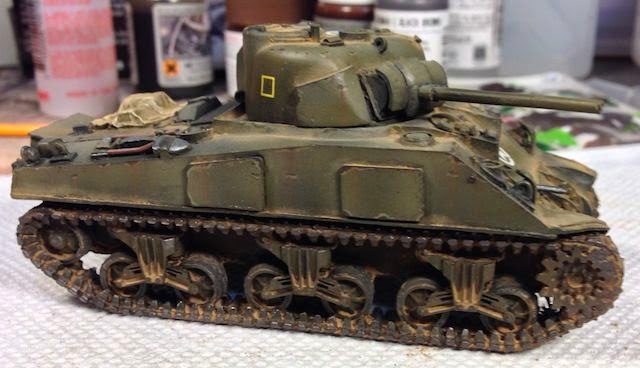 This is the first time I have really used Tamiya, as well as my first Bolt Action miniature. So how was the paint? Good for airbrush, terrible for brush. As weird as that sounds, I could not get the paint to brush on easily, yet it was simultaneously the best air brush paint I have used. I only wish they had more colors. How was the tank? Fun. It was a nice break from 40k. I am not a fan of the extremely soft white metal bits, but the casting is ok. A little misshapen, but it works pretty well. 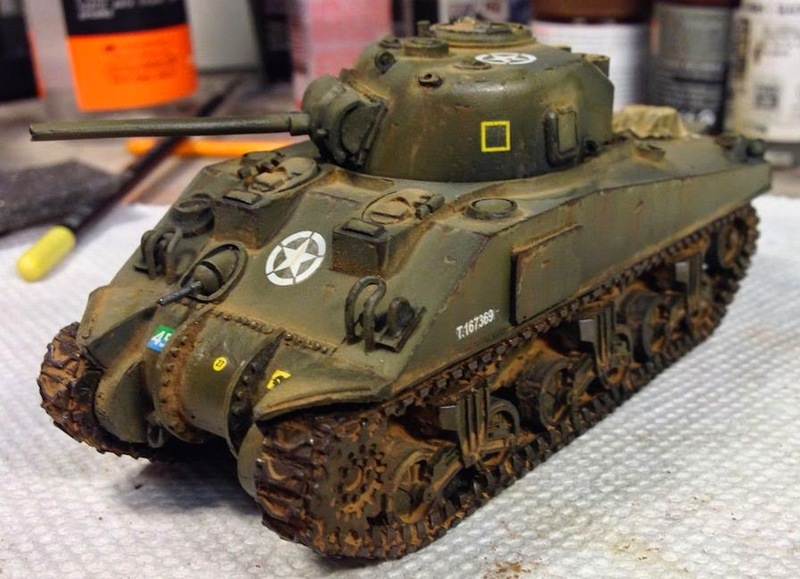 In terms of weathering, I have yet to spatter mud all over the lower hull and tracks. Before I do that I want to base some troops so I can get an optimal color. The mud will be pigment mixed with sand and plaster, so I need to get it right. Since I found out that some friends were getting interested in BA, I've been watching videos on how to play. So far, I really like the idea of random activation. I can picture a squad advancing behind the sherman towards a fortified town. In game play terms that seems to work, so for once tanks are useful. The Battle for Salvation GT is next weekend, so after being drafted into a painting invitational, I decided I had to add a little lighting to my display board. This worked out well, since I've wanted to make tea lamp smoke markers for a while. I only wish I hadn't broken two of the lamps during construction. It would have been nicer to have all four so each vehicle had a dedicated destroyed marker. I haven't mastered the cotton shaping in to smoke plumes yet, but I think it is going to look good in the end. Yep, that is the 11th company podcast in the background. Neil, let's paint a rhino. My BFS army. So, how broken is Adamantine Lance? 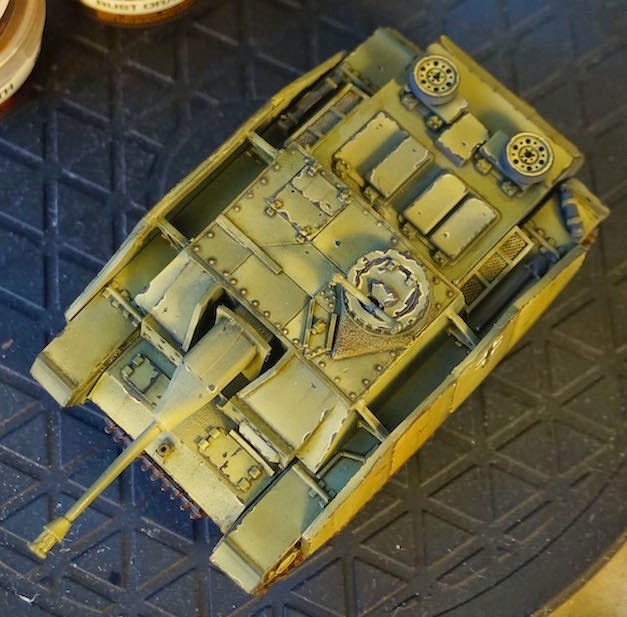 I have to convert the rhino into a razorback, but then I think I am done.